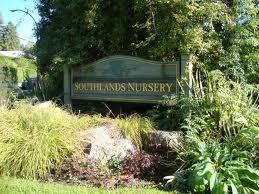 Dunbar-Southlands is located south of Downtown on the West Side of the City of Vancouver. The neighbourhood stretches from West 16th in the North to the Fraser River in the South. The western boundary is the University of British Columbia (UBC) Endowment Lands and the eastern boundary varies along several streets. The neighbourhood has a rich architectural heritage. Some of the earlier homes are designed in the English Arts and Crafts and Edwardian styles. Some residents in the Southlands neighbourhood have horses, and there is an equestrian club that has been there since 1943. 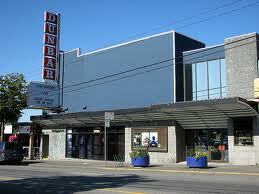 Dunbar is a good alternative to Downtown Vancouver if you are looking for a more laid back and relaxed atmosphere. There are a number of small businesses and the people are friendly and personable. – Take the 32 Dunbar from the corner of Georgia and Burrard heading Southbound. Get off at the corner of Dunbar and West 15th. This is the only direct route to the neighbourhood (without having to transfer to another bus). – Take the 44 UBC from the corner of Burrard and Georgia heading Southbound. Get off at the corner of West 4th and MacDonald. Transfer to the 7 Dunbar on the corner of West 4th and MacDonald heading Westbound. Get off at the corner of Dunbar and West 15th. – Take the 22 MacDonald from the corner of Burrard and Georgia heading Southbound. Get off at the corner of MacDonald and 16th. Transfer to the 33 UBC heading Westbound. Get off at the corner of West 16th and Dunbar. – Take the Canada Line from the Vancouver City Centre station located on Granville between Georgia and Robson. Take the skytrain from the platform marked “Canada Line to Richmond – Brighouse” heading Southbound and get off at King Edward station. Then, transfer to the 25 UBC (bus) from the corner of West King Edward and Cambie heading Northbound. Get off at Dunbar and West 18th. The residents of this neighbourhood are composed of a mix of young families and retirees. With UBC closeby, there are a number of student renters here as well. The atmosphere is quite laid back and it is relatively quiet when compared to Downtown Vancouver. In the spring and summer, this is a popular neighbourhood for garage sales. Carson Books (4275 Dunbar) – Don’t let the size of this bookstore fool you. It is filled to the brim with used and out of print books. If classic lit is your thing, this is the store for you! Lawrence Books (3591 West 41st) – Large used bookstore packed to the brim with a comprehensive selection of books on any subject. Be sure to ask the staff for assistance if you are looking for something specific, otherwise, have fun browsing! I don’t recommend this store for those with a tendency towards feeling clausterphobic. Dunbar Cycles (4219 Dunbar) – High-quality selection of bikes and equipment. Catering to every style, budget and age of rider. The staff are very knowledgeable and helpful. Tune-ups and repairs also offered. Peakaboo Baby Boutique (4229 Dunbar) – Quality selection of toddler fashion, with a growing focus on organically sourced clothing, in addition to a unique selection of toys. Exquisite customer service which offers baby shower registration, call-backs on out of stock items, and personal shopping services. Splash Toy Shop (4243 Dunbar) – Fun and comprehensive toy store offering a wide variety of toys, board games, educational books and more! Great place to shop if you are planning a party for the kids. MacGillycuddy’s For Little People (4881 MacKenzie) – This quality children’s consignment clothing store is a great place to shop if you are on a budget. Beyond regular fashion, you will find everything from Halloween costumes and dance wear to ski jackets and pants. KJM Country Gardens (7226 Blenheim) – This family-operated garden centre is easily my favourite in the city! The owners have transformed their 1.2 acre property into a thriving business. Everything from flowers and trees to gardening soil and edibles. Restoration House (3444 Dunbar) – One of my favourite antique shops in the city. Small but great selection of antiques, in addition to restoration for antique and modern lighting fixtures and furniture. Custom lighting fixture design also available. Upscale Garage Sale Antique Store (3432 Dunbar) – Featuring a selection of high-quality used furniture, accessories and interior decoration. Here you will typically find a variety of teak and mahogany furniture in various styles. If you are on the hunt for something specific but didn’t see it in the store, put your name on their wish list and their staff will help you track it down. Stong’s Market (4560 Dunbar) – In addition to the regular brands, this grocery store carries an extensive selection of unique, gourmet, natural and organic products. They have a 100% guarantee on all of their products and their team is friendly and welcoming. Jethro’s Fine Grub (3420 Dunbar) – This 24-seat eatery is packed on the weekends and for good reason! Their breakfast menu boasts creative dishes such as the South of Denver omelette, which is stuffed with pulled pork, smoked Gouda and jalapenos. If you are looking for something sweet, you must try their Gold Rush pancakes. Many delicious lunch items on their menu as well. Modern Club (3446 Dunbar) – For the adventurous folk, this quaint Japanese restaurant specializes in Okonomiyaki, a delicious Japanese savoury pancake of sorts. It consists of a flour and water batter that is mixed with a variety of ingredients and cooked on a hot plate or grill. Modern offers three variations on this dish – Osaka style tama (regular), modern (with crunchy soba noodles), and postmodern (with thicker udon noodles). La Notte (3307 Dunbar) – Casual fine dining at it’s best! They are well known for their pasta and veal specialties, as well as their osso buco, served on Fridays only. For those who prefer to take-out, they offer all of their pastas on the menu for $12. Cheshire Cheese Inn (4585 Dunbar) – Inspired by the traditional British Inns, “The Cheese” offers a casual meeting place for all ages. Their extensive menu features traditional British favourites such as fish and chips, toad-in-a-hole, steak and Guinness pie, welsh rabbit and more! Vegetarian options are also available. Spice Islands Indonesian Restaurant (3592 West 41st) – Unique and authentic Indonesian fare made with fresh ingredients. Popular dishes include Singang Ayam (Sumatran grilled Chicken), Asam Babi Goreng (tamarind pork), and Gulai Lidang (creamy curry prawns). For dessert, try the Pisang Gorang (banana fritters) and Bubur Ketan Itam (black rice pudding). Butter Baked Goods (4321 Dunbar) – Their name really says it all. Everything from cupcakes to cinnamon buns. Be sure to try one of their huge sandwich cookies, and while you’re at it, take home a bag of their fluffy marshmallows (the coconut ones are my favourite). Some of the most delicious sweets in the city! Kokopelli Cafe (4593 Dunbar) – Quality homemade beverages, baked goods, light meals and frozen take-home meals can be found at this cozy neighbourhood cafe. Be sure to try their cinnamon brioche, chocolate croissants and brownies! Dunbar Theatre (4555 Dunbar) – Historic single-screen theatre with newly renovated interior. Comfortable roomy “lovebird seats” – the armrests lift up so you can sit just a little closer to your date. If you like popcorn, theirs has been rated best in the city by locals. The ticket and concession prices are very reasonable. They also screen 3D movies from time to time. Dunbar Community Centre (4747 Dunbar) – Fitness centre, gym, sauna and whirlpool, tennis courts, playground, racquetball/squash courts and more. Programs available for all ages. Blenheim Street Bazaar – Annual multi-block garage sale in May between West 16th and S.W. Marine. Great opportunity to find some treasures at bargain prices! Note that during the spring and summer, Dunbar is THE neighbourhood for garage sales. There are always a number of signs posted on the corner of West 16th and Dunbar.